1812 American Pattern Boarding Ax and Bill Hook aka Fascine Knife. 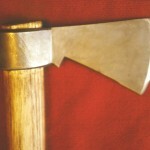 “Teeth” were for grabbing rigging, an American innovation to boarding axes. 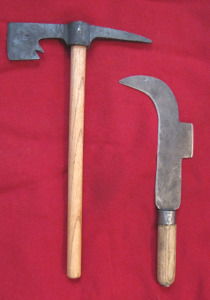 Axes, hatchets and tomahawks forged by James A. 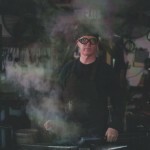 (Jymm) Hoffman at Hoffman’s Forge, LLC. 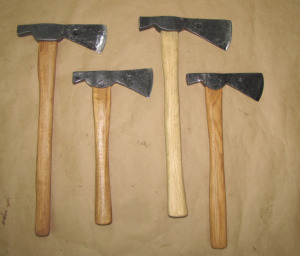 A variety of tomahawks and halbreds. 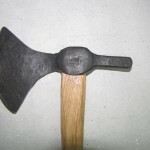 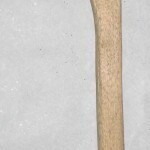 British pattern belt ax/ hatchet. 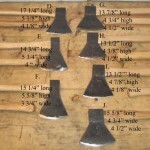 Samples of American Pattern hatchets. 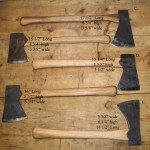 Samples of British pattern hatchets. 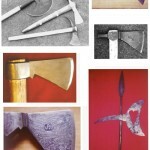 All of the items shown here have been sold as most of my work is made to order. 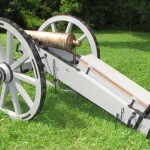 However, if you like an item you see and want one just like it, no problem. 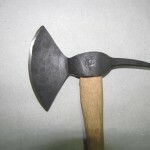 If you want a slightly different design, no problem. 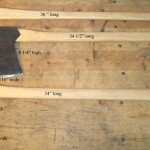 Don’t hesitate to email me to ask if I have one of these items in stock. Keep watching for the next batch of axes, hatchets and tomahawks.